Spring Fundraiser. This is typically a fun evening out! The range for this commitment in past school years was between $150 – $200 and approximately 15 hours. 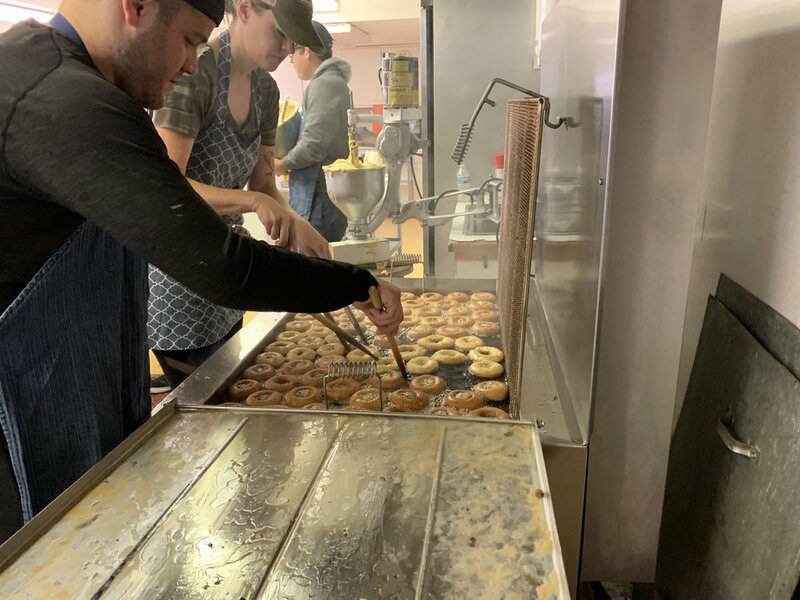 Join in the fun of making donuts with your Pilgrim parents at the popular Oak Park Farmer’s Market! Fry, coat, serve and mingle on 1 Saturday in September and 1 Saturday in October. Dine Around Town-A night off from cooking! 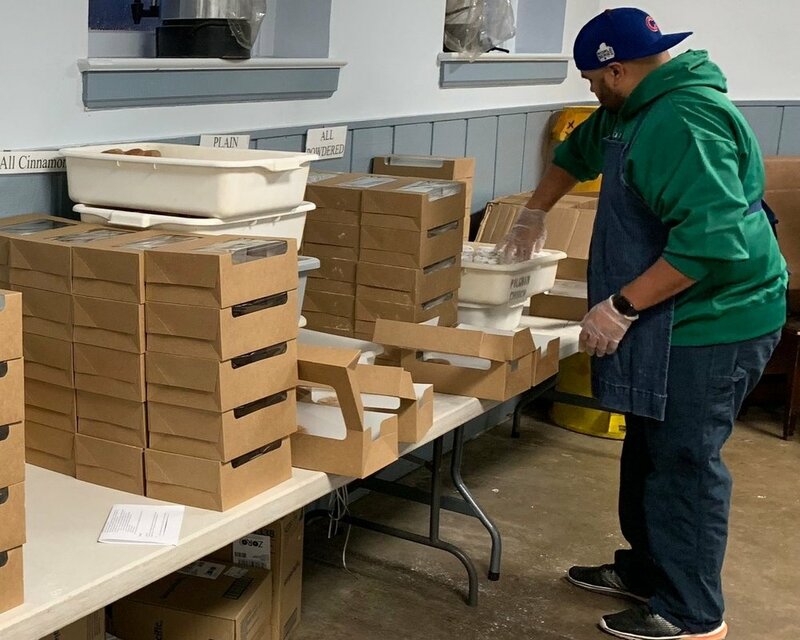 We partner with several local businesses including: Q's BBQ, Chipotle, Nando’s, Lou Malnati's, and Potbelly's to donate a portion of the proceeds to our program. Often times families dine together! In the Spring, Pilgrim works with the Original Works school fundraising program. Students create artwork in class that can be ordered on a variety of items including note cards, coffee mugs, magnets, trivets, and much more. Monies raised through the art fundraiser support our teachers in their continuing education. Exit Strategy was the location of our biggest fundraiser of the year. We enjoyed a silent auction, good food and the opportunity to mingle with other parents and staff while supporting the school we love.